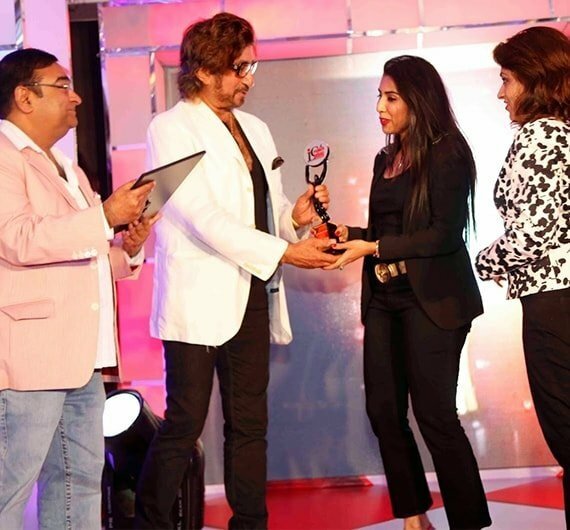 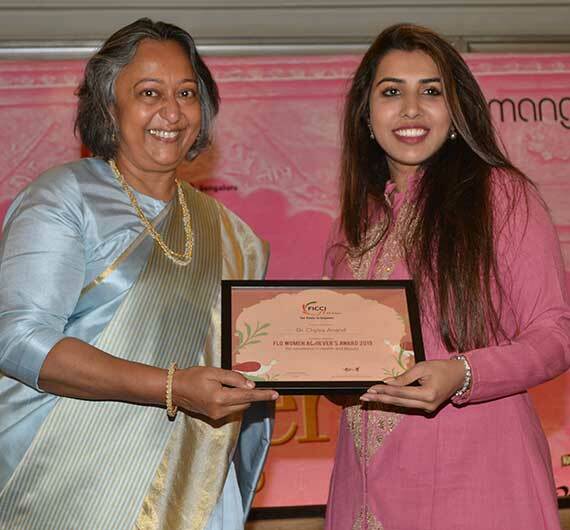 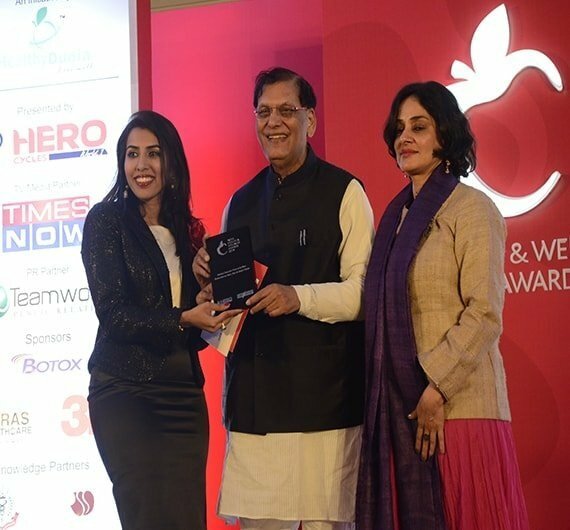 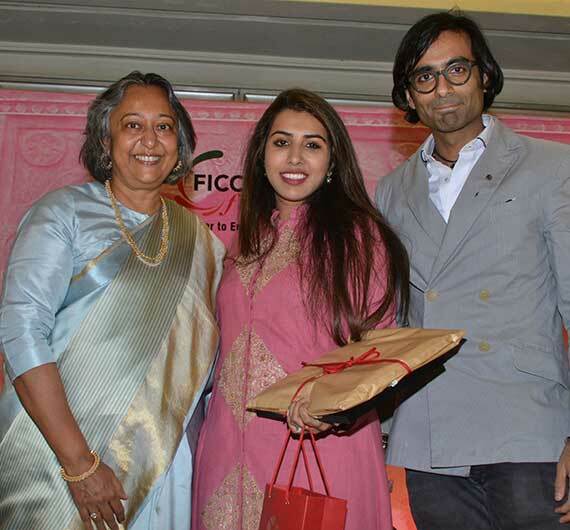 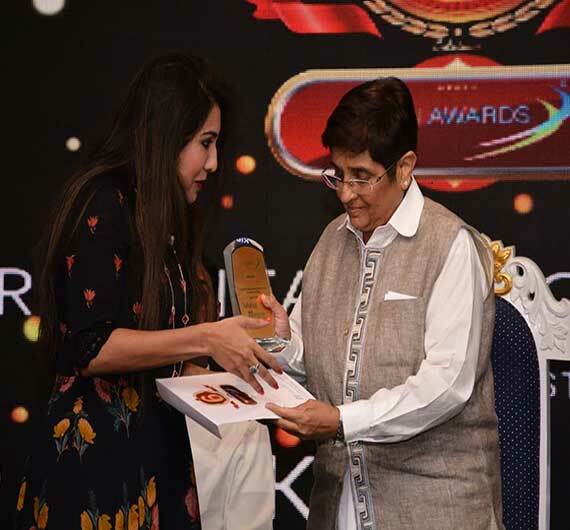 Dr.Chytra being awarded the FICCI FLO Women Achievers Award 2019 for Excellence in Health and Beauty. 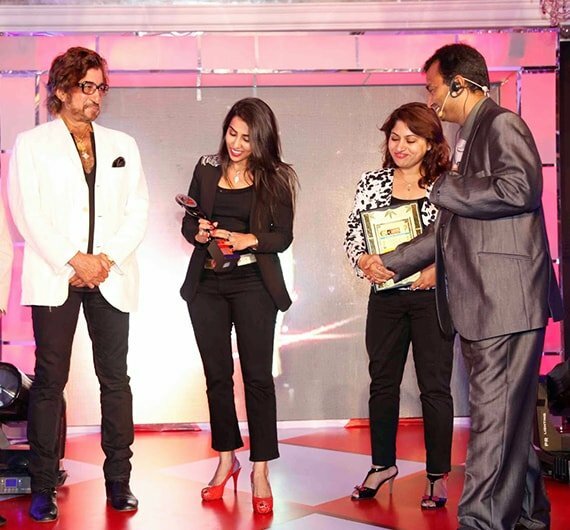 Kosmoderma Skin and Hair Clinics Awarded Aesthetic Player of the Year (South) 2016. 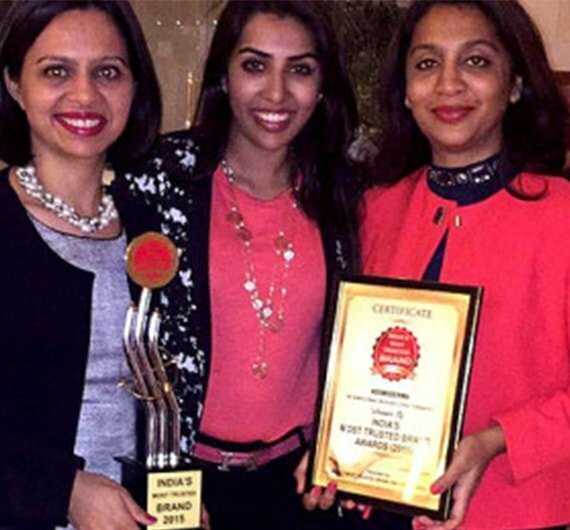 Kosmoderma Skin & Hair Clinics won the Most Trusted Brand 2015 Award. 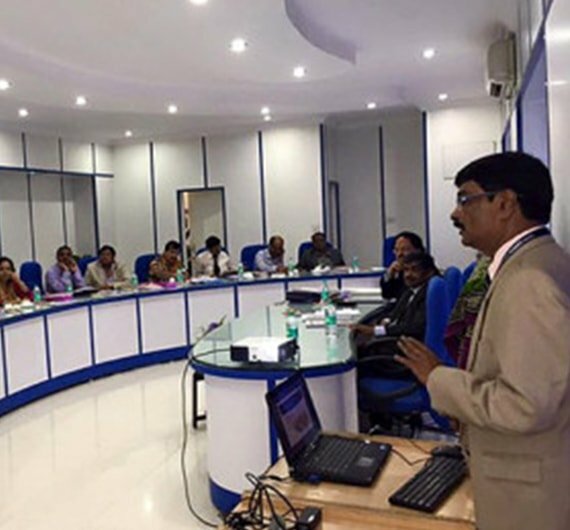 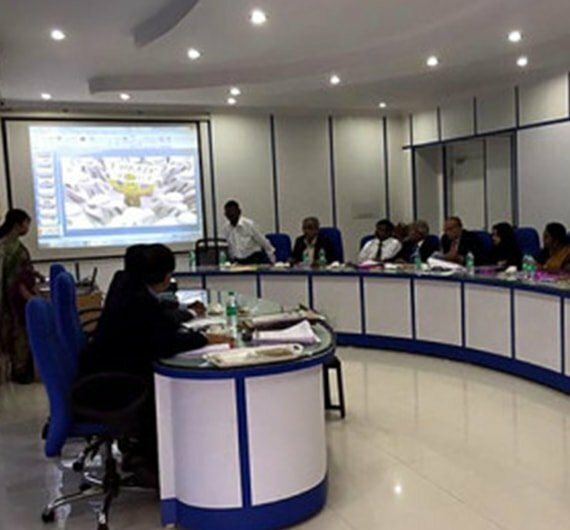 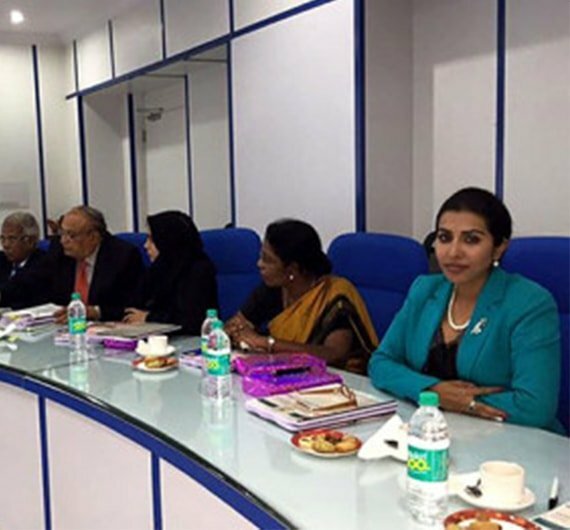 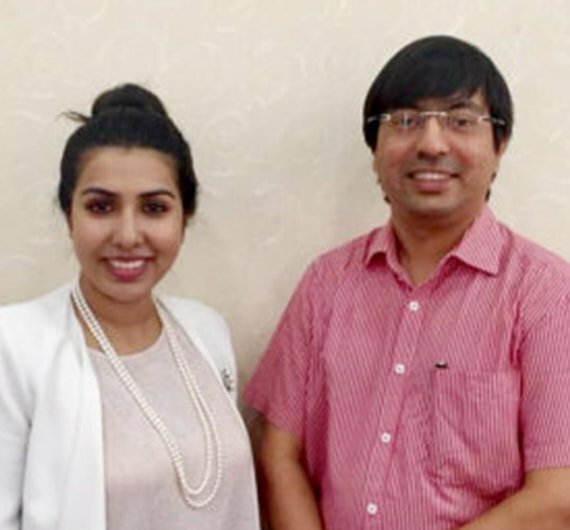 Dr Chytra V Anand Appointed to Rajiv Gandhi University of Health Sciences as Executive Council Syndicate Member by Government of Karnataka and Governor of Karnataka. 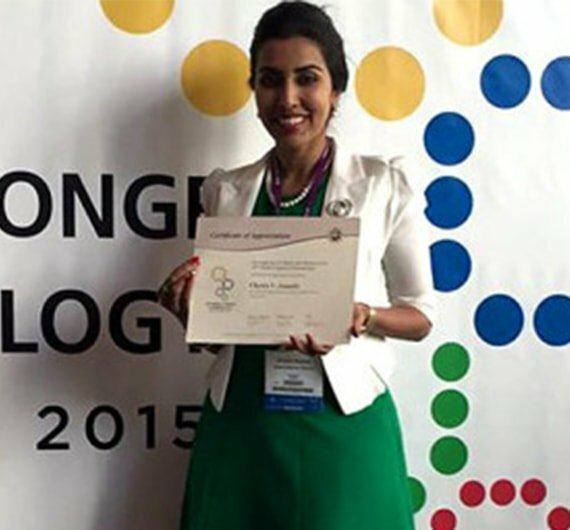 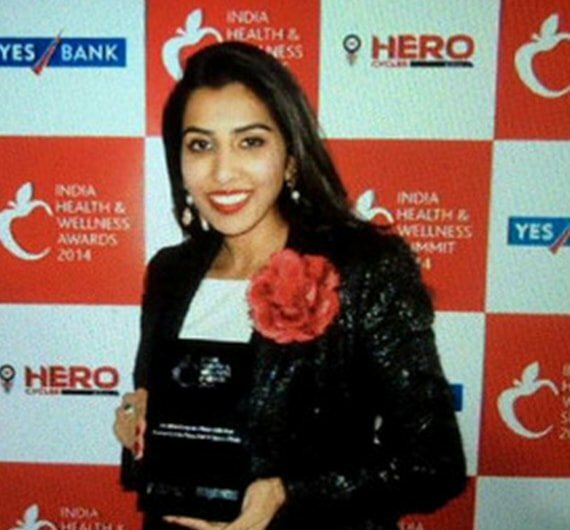 Dr Chytra V Anand Awarded Rising star in Soft Tissue Fillers at 23rd World Congress of Dermatology, Vancouver, Canada. 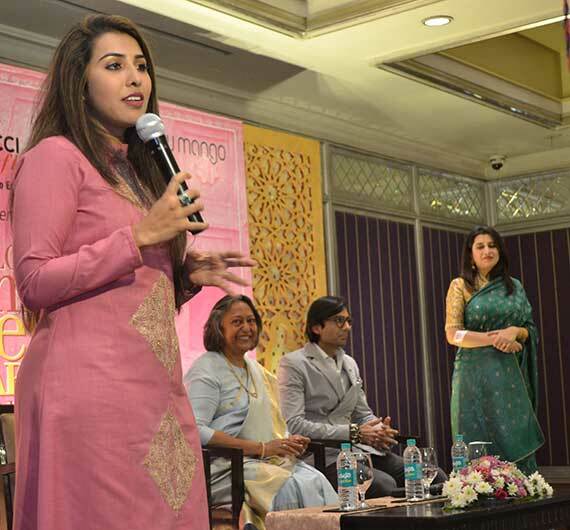 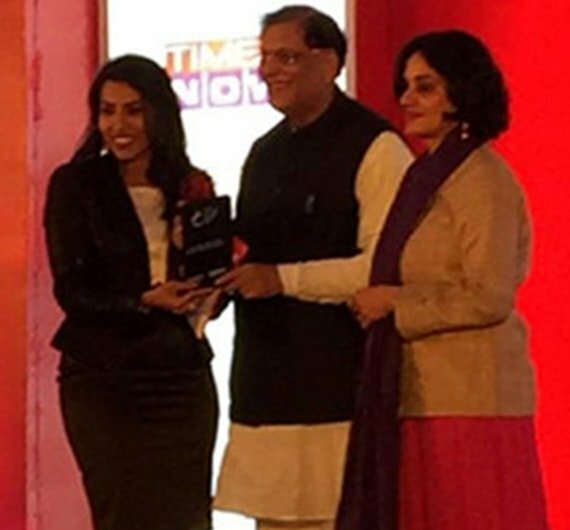 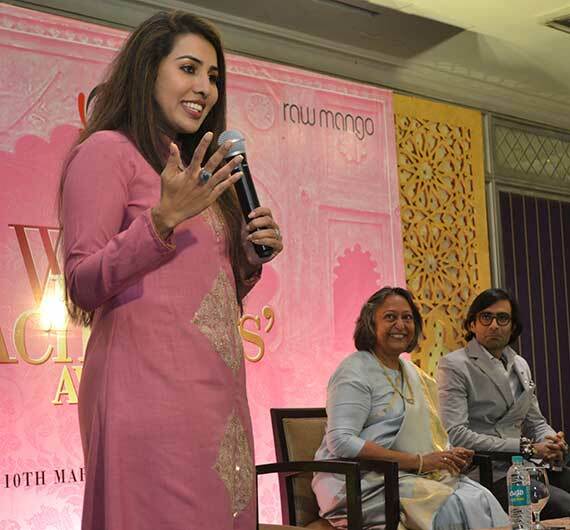 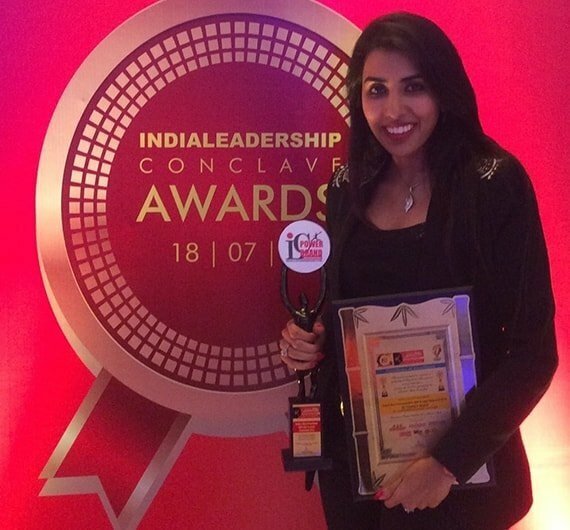 Dr Chytra V Anand awarded India’s Most Promising & Valuable Skincare Leader 2014 . 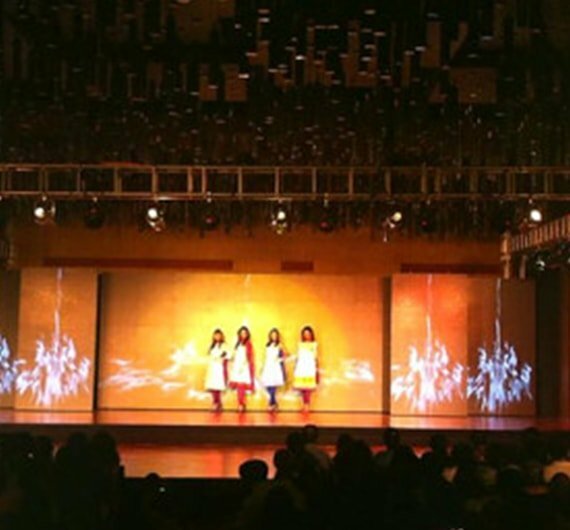 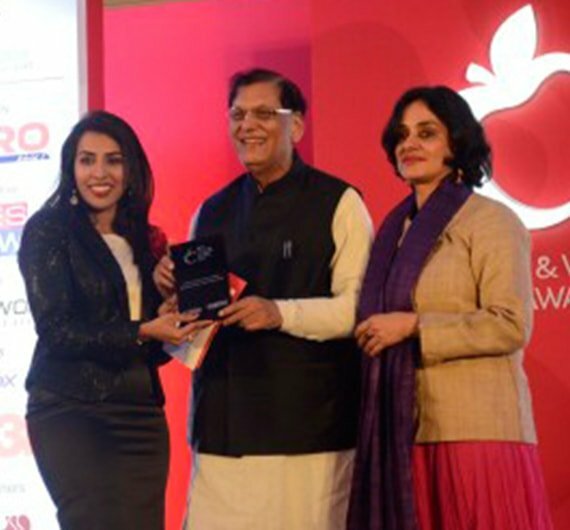 Kosmoderma awarded Best Medical Aesthetic Clinic Chain. 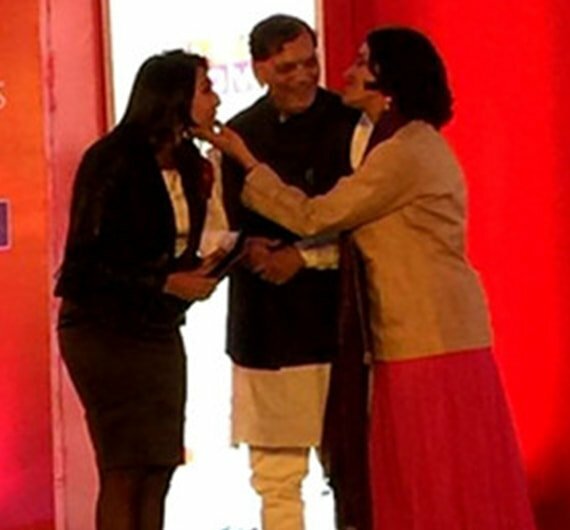 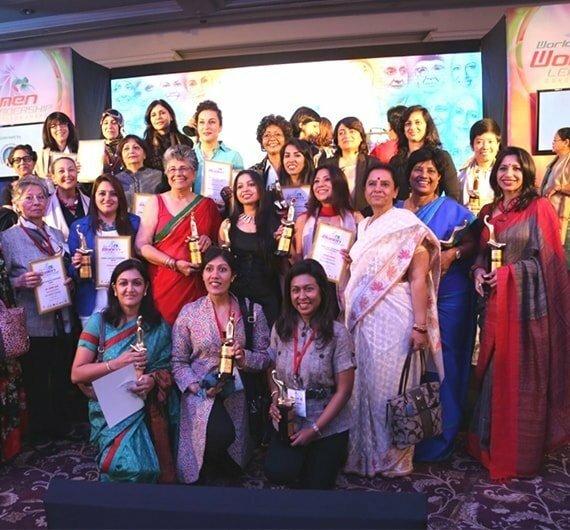 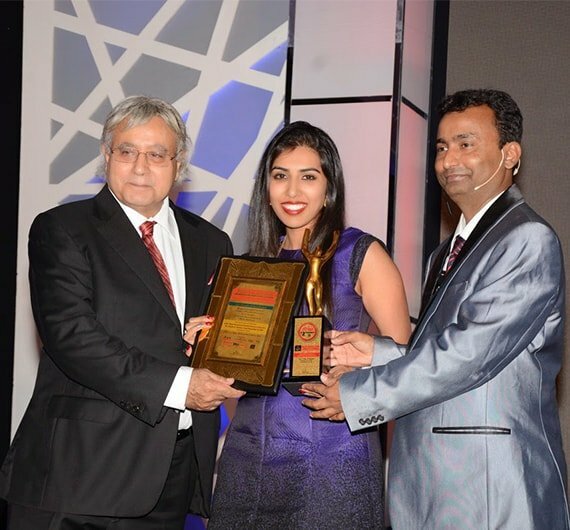 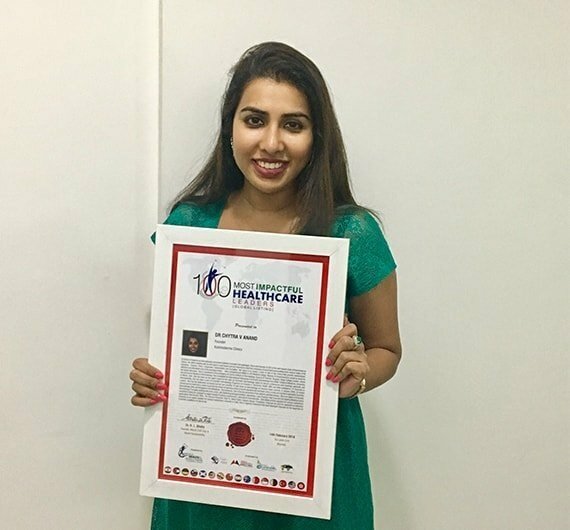 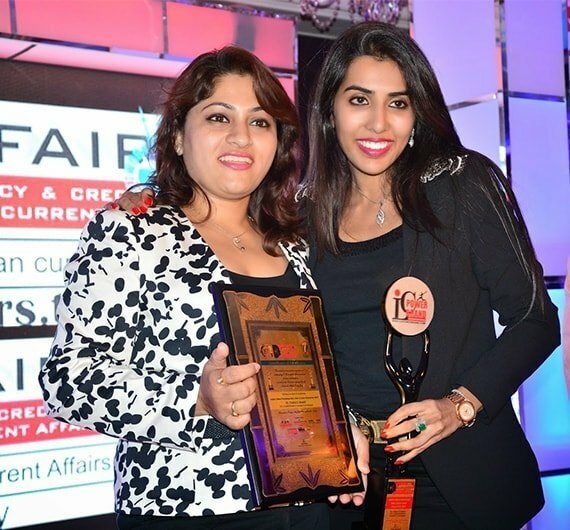 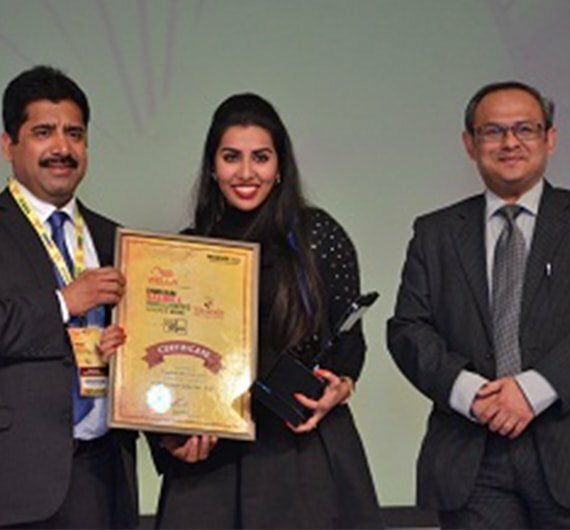 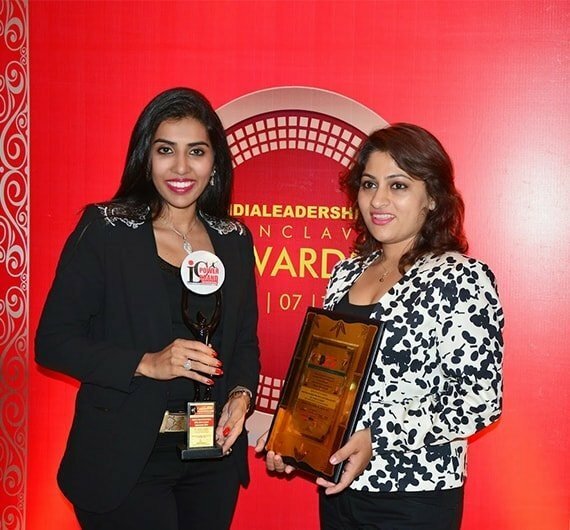 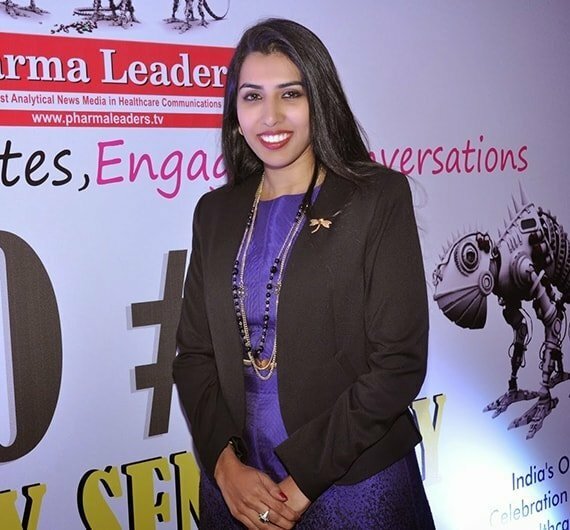 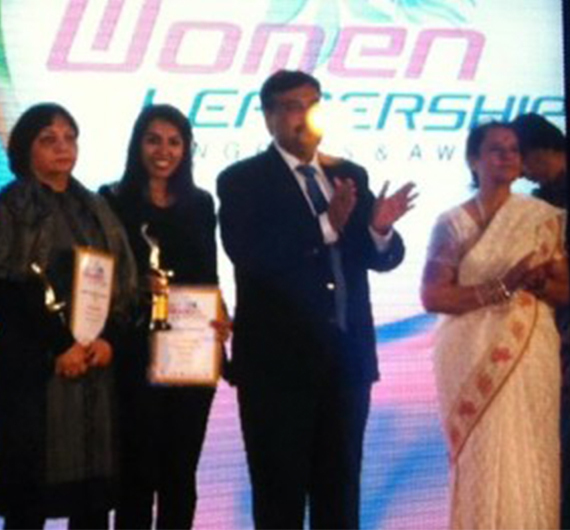 Dr Chytra V Anand awarded Most Promising Skin Care Leader 2014 in India. 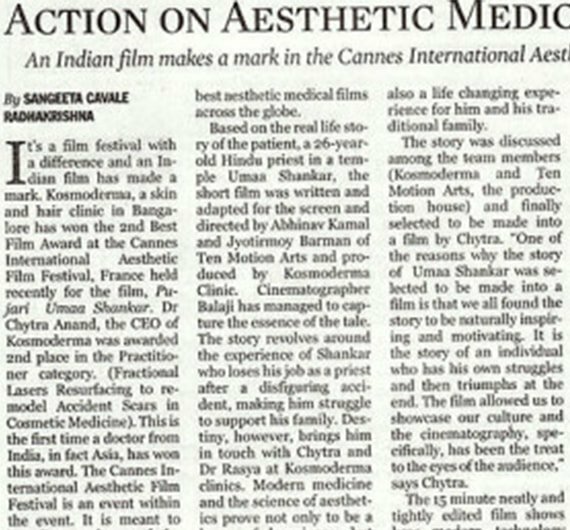 Kosmoderma awarded Second Best Film at Cannes . 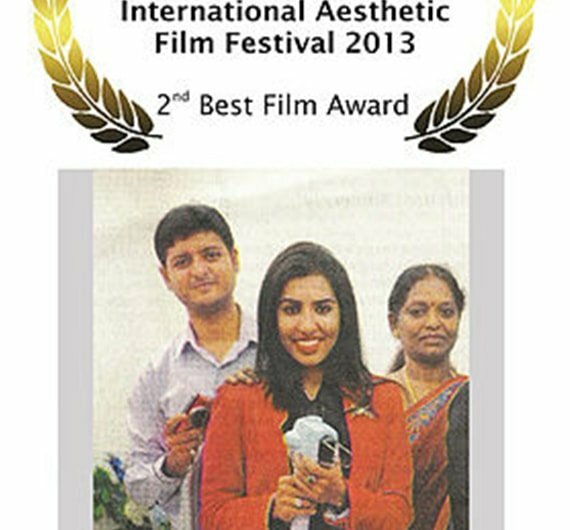 Film on Fractional Scar Rejuvenation Treatment for client Pujari Uma Shankar. 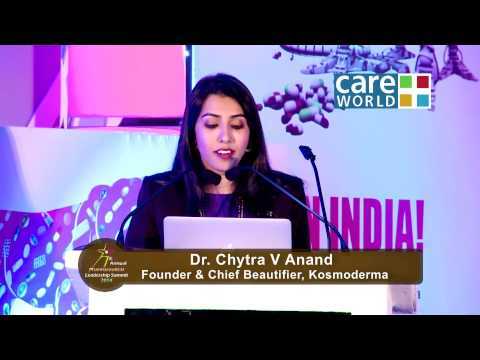 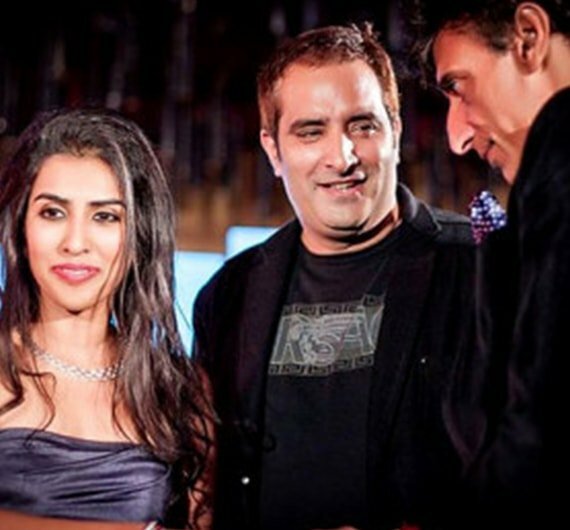 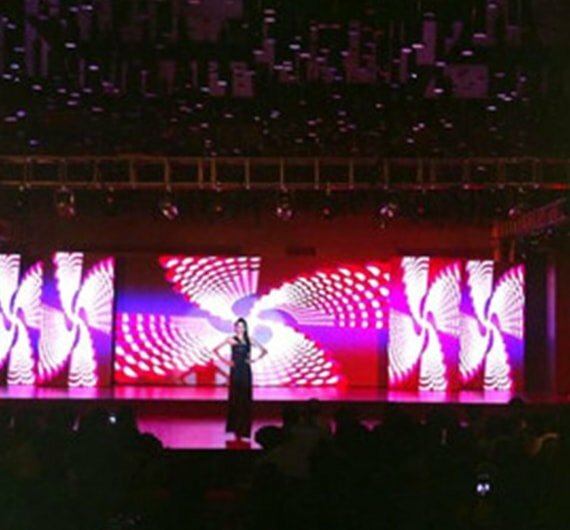 Dr Chytra V Anand, the Official Skin Doctor for Miss Bangalore 2013.